It’s that time of year again. What do you get the person who has everything? 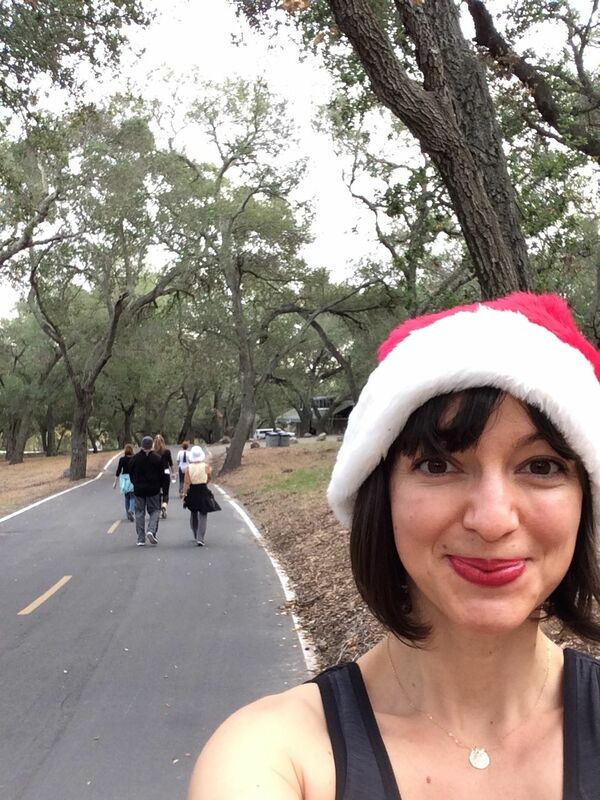 Roland and I over at Eat Well Move Well write a yearly holiday gift suggestion post, where we share the best ideas in health and fitness – from tools to books! I am offering gift certificates too! Nothing beats the experience of movement and education all wrapped in one! You know that at MOVEWELL STUDIO my goal is to give you not only the ability to move better in your body, but also to understand it better and to be a wiser steward to it. Whether your friends and family need to improve posture or breathing, or they are looking to get more balance and strength, or beat nagging chronic pain, you can give them a beautifully wrapped gift certificate to see me. Perfect for your kids coming home for the holidays too! Your friends and family live too far? I offer video sessions through Skype and all the services excluding NKT® can be used over the Internet! All gift certificates can be redeemed through spring, so your gift can keep your loved ones warm for months! If you have a special request, such as a group session or a workshop on a special topic, I will custom make a certificate for you at 30% off the regular price, so I get to contribute to your gift giving too! Wishing you active, happy and joyful holidays! Categories: news | Tags: gift certificates | Permalink. We’ve been talking about starting a walking group for a while now. Since we now live a few minutes from three fantastic walking locations, we decided it’s time to share our Saturday walk with clients and friends. We started this free group to actively share one of our core beliefs – that walking is a God given right and we should all walk. Barring health obstacles, everyone who can put one foot in front of the other should be getting a significant amount of walking. And not just any walking. Walking with friends, walking in a nature, walking with good form, all help maintain the many complex aspects of what comprises our vibrant health. The next date for our walks is already set and it’s in my newsletter. If you don’t get that regularly, you can click the big blue envelope on the top right and subscribe. 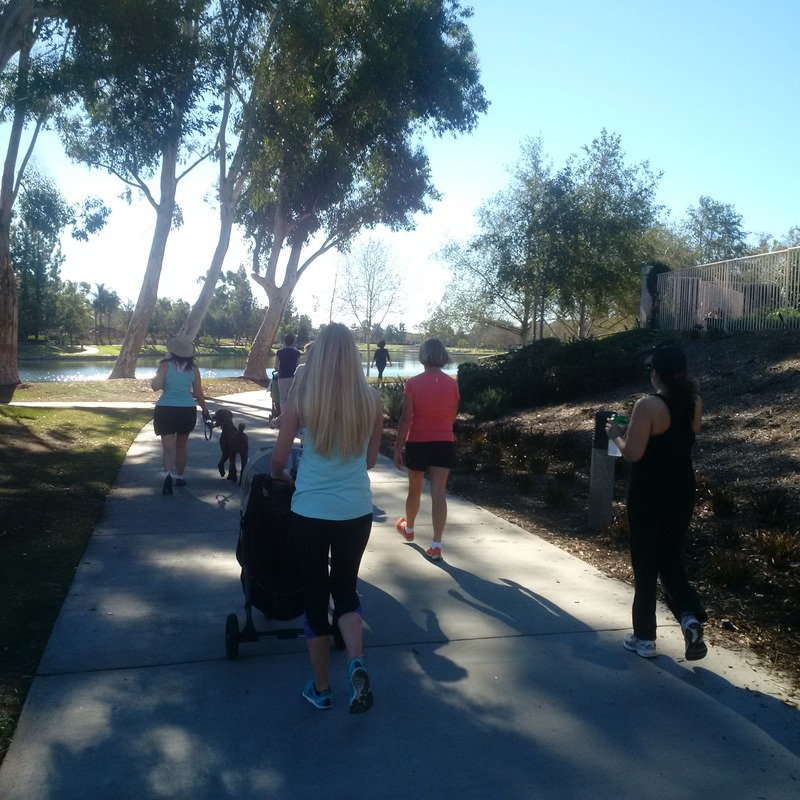 In the meantime, enjoy your walks and see you on November 22, at 9 a.m. at the top of O’Neill Park at Montana and Danta, in RSM, CA. Categories: news | Tags: walking group | Permalink. That would be me. Back in spring I took the Healthy Foot Practitioner course, developed by the lovely biomechanist Katy Bowman and podiatrist Theresa Parahen. The course is fantastic and helps develop a wonderful base of movement and knowledge for anyone searching to improve balance, overall health and performance. For those people ailed with foot pain the course offers simple and effective solutions. 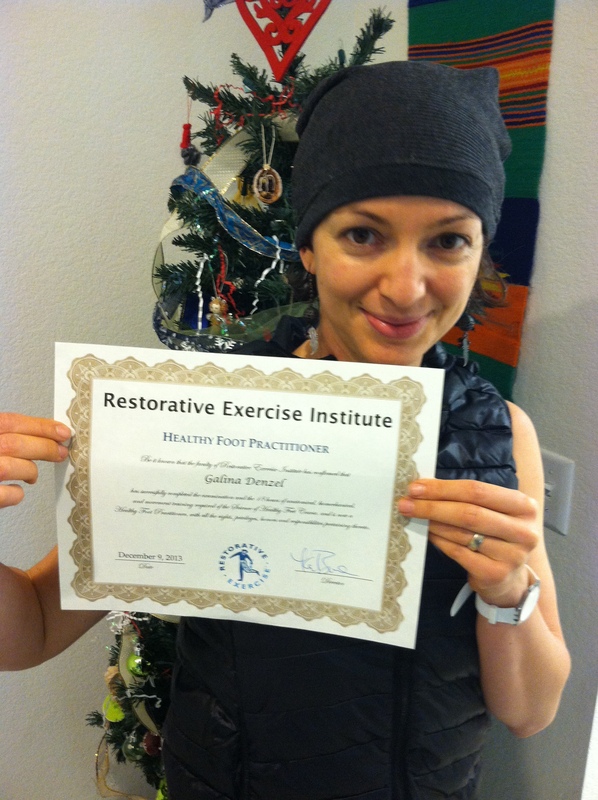 For me, as a Restorative Exercise™ specialist, the certification added a new level of skill and a better ability to explain the importance of foot training to my clients. I am not one to put up certificates on the wall of my studio, but I thought you might enjoy celebrating this one with me. 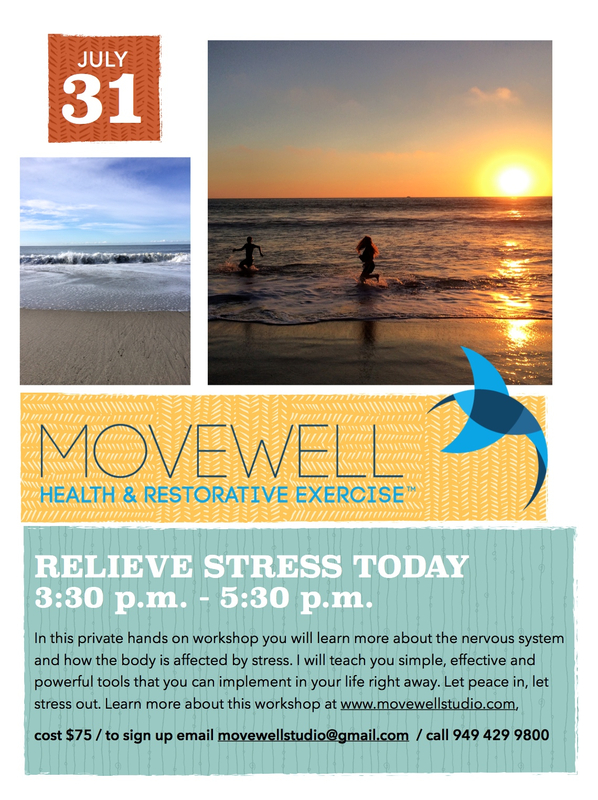 Let it be a Christmas gift to all of us at MOVEWELL STUDIO!